The Sunshine Space: Where I Make Things. After I decided to make this little nook into a crafting space, I realized I had very little room for storage. I decided to utilize my resources by not letting the wall go to waste. I picked up the pegboard and hooks at Home Depot for just under 12 bucks. The variety pack of hooks I bought came with wall spacers and the whole thing was up in a matter of minutes. 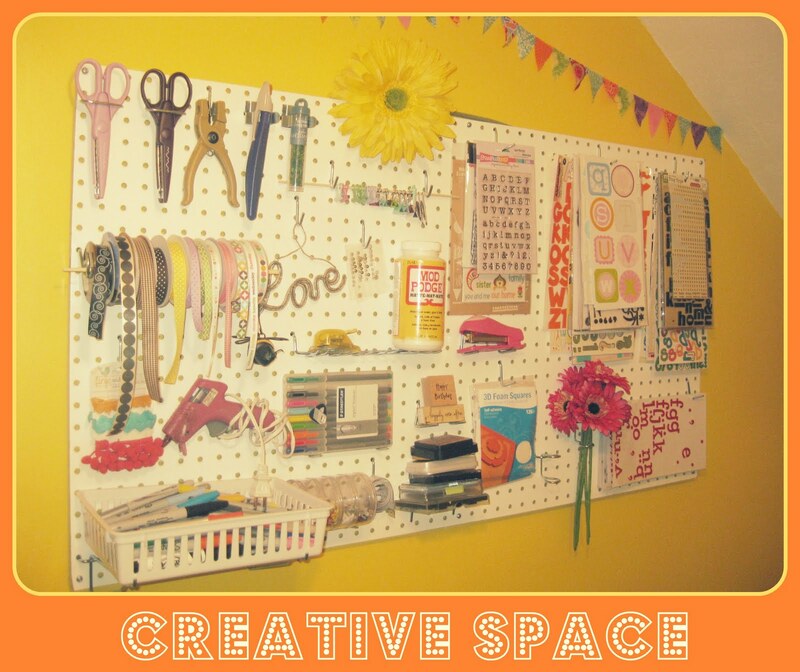 I love it because it will be really easy to adapt as my needs change and I can put the things I use most out in the open so I can grab and go as I craft. This little space of mine still needs improvements (like a cuter chair and better lighting, for starters), but I love it anyway. I had no idea pegboards were so cheap. What a fun space!